AAt Welcome we provide tolls that will assist you in making your guests’ day, every day.they will empower you to improve your level of service, and make sure that your guests have the best possible experience in South Africa, and your expand your business. This will ensure they have a special, meaningful experience. They will then want to return, and recommend you (and South Africa) to their friends. Ideas for different itineraries to suit your tourists’ tastes and to ensure that you can make any guest’s day, every day. Further, making sure that visitors have a fantastic experience is also good for South Africa, as tourism is an important driver of job creation and revenue. So whether you are a tour operator, an hotelier, a restaurateur, waiter or waitress, or almost anyone else working in tourism and hospitality, put your best foot forward and make someone's day. 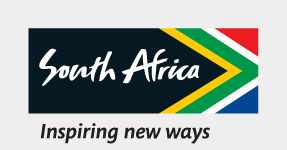 Find out more about important travel tips for tourists to South Africa. South Africa is home to multi-cultural melting pot of 55 million beautiful people of diverse origins, cultures, languages, and religions. Although English is widely spoken and is used for informational signage, South Africa celebrates diversity in language with a total of eleven official languages. These languages are Afrikaans, isiNdebele, isiXhosa, isiZulu, Sepedi, Sesotho, Setswana, Siswati, Tshivenda, Xitsonga and English. Enshrined in the South African constitution is the right for all people to practice their religion free from persecution. The most practiced religions in South Africa include Christianity, Hinduism, Islam, Judaism and Buddhism.